Steps in the Museum are exhibited only the litter. The image is in the parish of St. Nicholas of Bari in Bilbao (Plaza San Nicolas 1, Casco Viejo), where he worships. 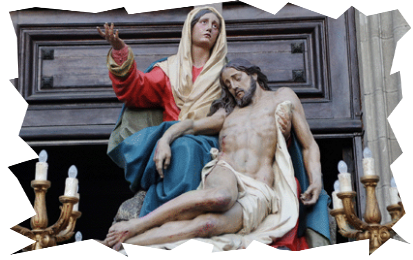 It's a great work in which the Virgin Mary holding her dead Son.